A cleaning business can be a fun, flexible, profitable and rewarding business to start, however, it doesn’t just happen overnight. You need to be prepared to invest some time and money (although it is possible to do it on a budget) to create the business of your dreams. In order to be successful, it’s important to treat your cleaning business like a business, because if you treat it like a hobby, it will pay you like one (and vice versa!) This means having a business pan, a professional attitude and the right tools and training for the job. 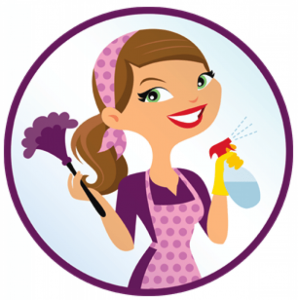 Ready to learn how to start a cleaning business? Let’s jump straight in…. When you are getting started, you’ll find it easier to offer one or two core services. This will hep reduce your start-up costs (because you only have to purchase one set of equipment/products) and help to establish you as an expert rather than a generalist. As you grow your business you can add additional and complimentary services quite easily and quickly. What are the training/licensing requirements (or recommendations)? How much will professional grade equipment/cleaning products cost? What is the demand for the service? For example, it’s very easy to get started as a house cleaner, because the start-up costs are very low. 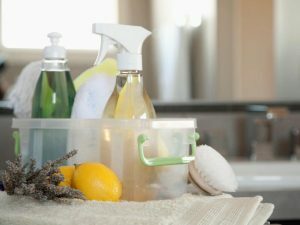 Al you need are some professional cleaning products, some low-cost equipment, a few flyers, business insurance, police check and you are pretty much in business. However, the downside is that because the cost of entry is so low, you’ll find there is quite a bit of competition (there are some ways to overcome this competition however, which we’ll explain below). Step 2: Should you choose a Cleaning Franchise or Build Your Own Brand? Deciding whether to go with a franchise, or create your own business is a decision you’ll need to make early on. There are both advantages and disadvantages to both options, and at the end of the day it comes down to your personal preference and individual situation. If you do decide to look in to buying a cleaning franchise, please make sure you do your research carefully. Ask to speak to current (and previous) franchises and meet with the owners. We’ve heard reports of franchisors not providing much in the way of ongoing service and support, once the upfront fees have been paid. Can be difficult to compete against marketing by bigger brands. Step 3: What Equipment will you need? This will depend a lot on the type of cleaning business you have decided to launch. Don’t be tempted to go for low quality tools or products simply to save money, you’ll end up spending more time at each job to get the desired result, and you could even end up damaging clients homes or office furniture/carpets. However, you can save money by purchasing second-hand equipment from businesses upgrading to the latest models, or from someone who is retiring. Just check to make sure everything is in good working order and the machines are reliable. Step 4: What about the ‘business’ side of things? It is possible to earn a great income when you discover how to start a cleaning business the ‘right’ way. Most types of cleaning are not regulated in Australia, however it is important to check with your state licensing body if there are any specific requirements you need to be aware of. Even if there are no minimum entry requirements, we highly recommend getting a formal qualification behind you before you go in to someone’s house or business to offer cleaning services. A recognised qualification will ensure you are aware of the best products/equipment to use in a range of different circumstances, and will help to build trust with your clients. In addition, your qualifications can become a tool to use in your marketing to stand out from the competiton. You’ll need to obtain public liability insurance to cover any accidents or damage whilst working at a clients property, and if you take on employees, you’ll need employers liability insurance to cover them too. You can apply for a Police Check online and then must go to a post office to complete your application. Do you need one? The short answer is yes! If you are serious about your business, you’ll need to create a business plan. This shouldn’t be a lengthy document which ends up sitting in your drawer gathering dust. It should be a practical step-by-step action plan which lays out the steps you need to take to get your business launched, find clients and become profitable quickly. This will depend on your persona situation and the services you provide. Initially you may wish to use sub-contractors as they will already be fully trained, have the right equipment and will usually be available immediately, however, it is more difficult to manage the quality and you’ll reduce your profit margin. As you grow, and your work becomes more stable you can look into hiring employees with your role becoming more of a management role in your business. Get an accountant from the start. They will help you establish your business and put the correct accounting practices in place. A good accountant will save you money in the long run. Step 5: How can I stand out from the Crowd? Earlier we mentioned that the barriers to entry are quite low when it comes to starting a cleaning business. This can create competition. However, the good news is that there are plenty of opportunities to create a profitable business as long as you make sure you offering something different and unique. Clients will usually choose a specialist over a generalist where there is one available. For example, an office manager is probably going to choose an experienced office cleaning company to clean their large office, rather than a ‘general’ cleaning company because they know they’ll have the skills and experience needs to get the job done quickly and be used to working unsocial hours to clean when the office is empty. So one way to stand out from the crowd is to get really good and well known for providing a specific service eg. end of lease cleaning, office cleaning, commercial carpet cleaning. Also, don’t forget about outdoor cleaning options such as gutter, exterior pressure washing or window cleaning. Very few companies provide exceptional customer service, but those who do rarely have to advertise because their clients do it for them. Spend time making sure you exceed customer expectations and you’ll instantly stand out from the competition. This could be as simple as making sure you always sound friendly when you pick-up the phone, and ensuring you turn up when you say you will. Little touches such as leaving a hand-written note, offering a discout for repeat customers, or sending a card on a client’s birthday, make a big impact (and cost very little to do). Step 6: How much should I Charge? Don’t try and compete on price, you’ll end up with low profit margins and feel like you are working for nothing. You’ll often find the worst customers and clients are the ones who haggle over price. Put a value on your service and be proud to tell people what you/your services are worth You’ll find that people are prepared to pay more for a quality service, and by positioning your cleaning business as a ‘premium quality’ business, you’ll be able to raise your prices, and attract the best clients and customers. Step 7: How do I find Clients? Good question. Many people think they know how to start a cleaning business and jump in. The bit people often forget to think about is the most important part: finding clients who are prepared to pay for your service! Without customers, you don’t have a business and unfortunately, they won’t just appear magically one day when you ‘open your doors!’. There are lots of ways to find clients, and it will take you a bit of trial and error to find the most profitable ones for your business. One thing to keep in mind is the lifetime value of your customers. For example, if you offer a commercial carpet cleaning service in Sydney, and your average job is worth about $500, you might know that most clients have their carpets cleaned 3 times a year and they stick with you for about 3 years, so your lifetime customer vale is $4,500. So you can see when you look at the lifetime value, rather than the value of the first ob, you can spend a bit more on marketing you get your initial customers. The most effective techniques usually involve building relationships with other companies who have an existing client base. For example, real estate agents, property managers etc. Other forms of marketing such as local community events, flyers, leaflet drops and some newspaper advertising can be effective (especially in community publications). If you are planning to offer a general cleaning service, traditional directories like the Yellow Pages are probably not going to prove effective, as most people now go online to find the information they need. It is impossible to ignore the internet, and at a minimum, your business should have a professional looking website. Many people now use Google (and other search engines) to find a cleaning business in their local area. You need to think about making your company visible when people search online. You can either purchase advertising (eg. Goodle Adwords) or work with a company who specialises in getting your business to the top of a Google search organically. (This is known as search engine optimisation). Step 8: Where can I find out more? How do I get started? Know that if you commit to doing this, and are willing to put in some time and energy to get it off the ground, you can create a rewarding business and full or part-time income.